I am a Notre Dame fan and have been for as long as I can remember and it hasn't been enjoyable for me or most fans since the 2012 National Championship game against Alabama, when the hopes and dreams of all of us were crushed in 60 minutes. Since then ND has had two mediocre seasons going 9-4 and last years 8-5 campaign with the highlight being a victory against LSU in the Music City Bowl. Through it all this team has fought on and earned a 6-1 record going into the off week. The only loss coming to Clemson at Death Valley, a game in my opinion ND should have won. Instead, they fumbled multiple times and made some interesting play calls that led to a 24-22 loss in the final seconds. Of course, we cant dwell in the past and must move on and look towards the future, which is looking very bright. With only 5 games remaining the fighting Irish could end up 11-1 and making it into a college football playoff spot or ending up just on the outside and playing in a major bowl game. Four of the games left are on the road so it will be a true test for this team. Either way, the season will be a success and let's take a look at the final games of the season. I will give a brief review of each and my score prediction. I truly believe this team can go 5-0 in the rest of their games. The only game I am unsure of is the Stanford one and that is because on a talent bases they are even with ND. It will be fun to watch and even if this teams goes 10-2 it will be a positive season for Brian Kelly and maybe a sign that 2012 wasn't a fluke after all. Of course, we may end up with another QB controversy with Malik Zaire returning and DeShone Kizer potentially having a very successful season. Let's worry about that when we get to it. 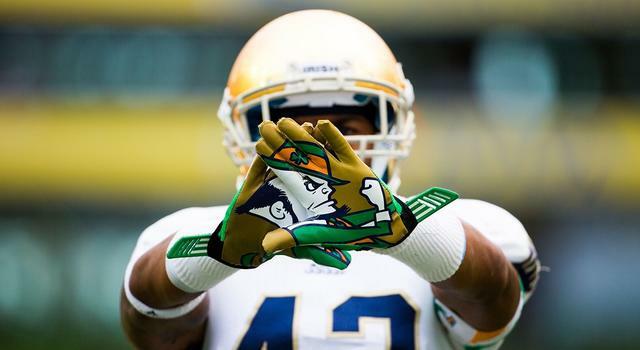 Until then Let's go Irish. That's my stance, let me know yours. I agree, Notre Dame should run the table, but Stanford is the only game I am worried about.